Among the many items featured in Risk of Rain 2, the ukulele is perhaps among the most favored by survivors. Allow players to harvest the innate electrical power of musical instruments, the ukulele causes foes' hearts to skip a beat thanks to an arcing array of lightning-based damage. 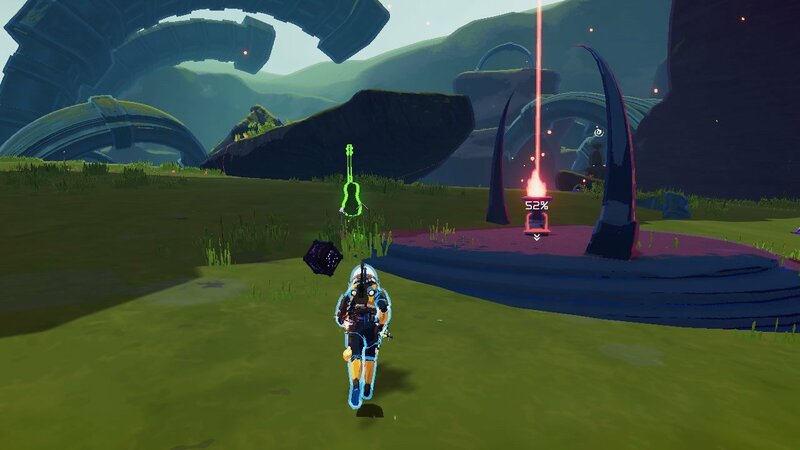 Read on to learn more about how the ukulele works in Risk of Rain 2. The ukulele was a popular item in the original Risk of Rain, so it's not exactly surprising to see it return in Risk of Rain 2. Players who can scoop up the ukulele will immediately discover why it's one of the game's better items: Each time the survivor attacks, the ukulele offers a 25 percent chance to deal 80 percent chain lightning damage on up to three targets within 20 meters. Can't seem to find the ukulele? Don't worry, neither can the game's logbook, apparently. Of course, the real beauty of the this item is in how it stacks: Each additional ukulele adds +2 targets and +2 meters to the item's range, and unlike items such as the Tougher Times teddy bear, the effect stacks cleanly. If players manage to collect 11 ukes in a single run, they'll have a 25 percent chance to hit up to 23 enemies across a staggering 40 meter distance. Even a couple of ukuleles can make or break a tense firefight. They also pair very well with other items like gasoline or sticky bombs, which similarly provide a chance to deal extra damage to individual targets or groups of targets. Being a green or uncommon item, ukuleles should appear somewhat frequently throughout Risk of Rain 2 runs. Like other uncommon items, they have a chance to drop from item chests, terminals, Shrines of Chance, and end-level bosses. The ukuele might not be among the highest tier items in Risk of Rain 2, but its powerful chain lightning ability and the delightful electrical tick noise the attack makes should keep a smile on survivor's faces. Be sure to brush up on other crucial game guides covering Hopoo's latest roguelike release by heading over to Shacknews' Risk of Rain 2 home page.